With all our humble pleasure, thanks, and delight, Rexette Records and the whole family would like to present Shaman Elecktra, the debut album from our dearest brother, guide, and soul steez gentleman, Nathaniel Hansen AKA Smilk. This is truly a new sonic species of Australian home-brewed electronic bushcraft, uniquely honest composition steeped over delicately balanced textures, spirited arrangements, soft organic percussion, understated harmonies, and an organic full fat groove. This fine selection speaks to the creative delicatessen inside and collective shared experience. Simply, an other worldly handmade and heartfelt introduction to the articulations of the transformative fluid soul quenching Smilk. MP3 Download | FLAC Download | WAV Download · Download count: 5,593.
one of the best PROGRESIVE production i’ve evr hear ..very unique style and the sounds are very magicals great atmospheres…..
it’s very unique and nice album thank you !!! Amazing record, very groovy sounds, wonky and nice! 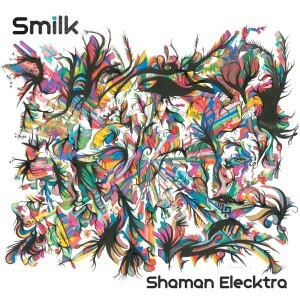 Smilk is an incredibly fresh breath of melodic air. Full support Zenon brother, can’t wait for mine to finish downloading! !